I created this mini using canvas fabric I bought at Joann's. 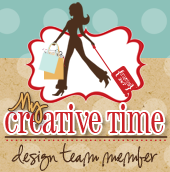 I used Graphic 45 Once Upon a Springtime paper line. I have to admit, this project was really fun to do. I just might have to make another..I incorporated my handmade ribbon flowers and also some paper flowers. I also used Marion Smith's trinkets with her new line with Prima. Leave a comment if you have any questions! I love this project. Very pretty pages. Once Upon a Springtime is my new fav. i love this!! absolutely gorgeous!